Set against the vast landscape of world conflict from World War One to contemporary times, four women unite across a century to share their personal stories of active service as doctors in the military. Lilian, a surgeon in her fifties serves in the remote Balkan snowfields in World War I. In World War II, Mary is the only woman among 3000 British troops bound for the Middle East. On active service in Iraq, young doctor Tam, plagued by dreams of fleeing war-torn Saigon, reconciles her own refugee experience. Catherine, a surgeon in Afghanistan, reflects on the journeys of the remarkable women who paved the way for her own experience as a modern military doctor. The Shift Theatre is focused on presenting dynamic works with strong roles for women, both from existing texts and in the development of new works. Our aim is to provide a stimulating and collaborative platform for directors, actors and a creative team who share our vision for a vibrant ensemble company and stories that capture the heart and the imagination. Founded in 2009, The Shift Theatre produced an original Australian work; The Girls in Grey which had a season at Theatre Works in St Kilda in 2012, a regional tour of Victoria in 2013, a tour of N.S.W. and Victoria in 2014 and W.A. in 2015. 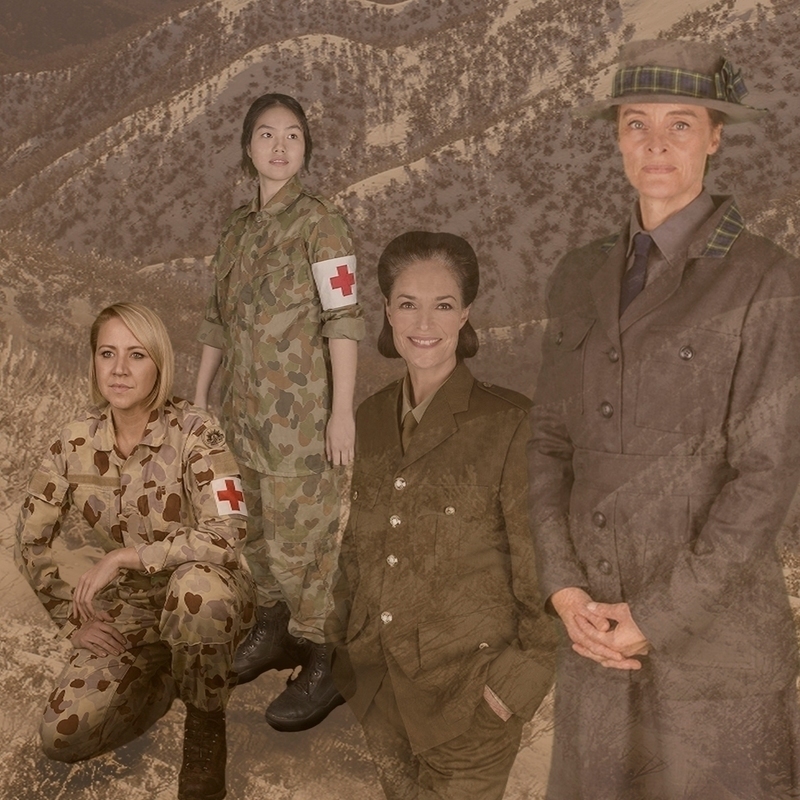 The Shift Theatre’s new work Hallowed Ground – Women Doctors in War had a premiere season at La Mama in Carlton in 2018 and will tour regional Victoria in June 2019.